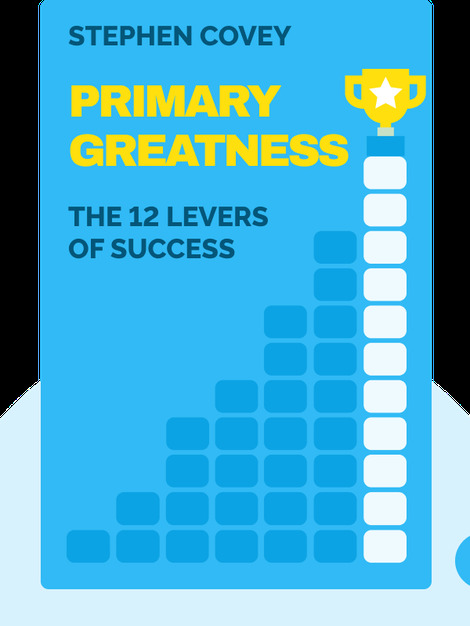 Primary Greatness (2015) explains that anyone can live a fulfilling life. It’s as simple as prioritizing the things that are truly important. Instead of trying to appear successful by accumulating status, fame and money, you should focus on finding true success by developing your inner character – a task that the 12 levers of success make simple. 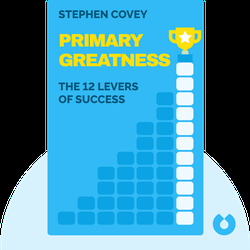 Stephen Covey is the author of the internationally best-selling book The 7 Habits of Highly Effective People, which has sold over 25 million copies. Because of his work toward developing business and education, he was recognized as one of Time magazine’s 25 most influential Americans.